SOMERSET, Mass. 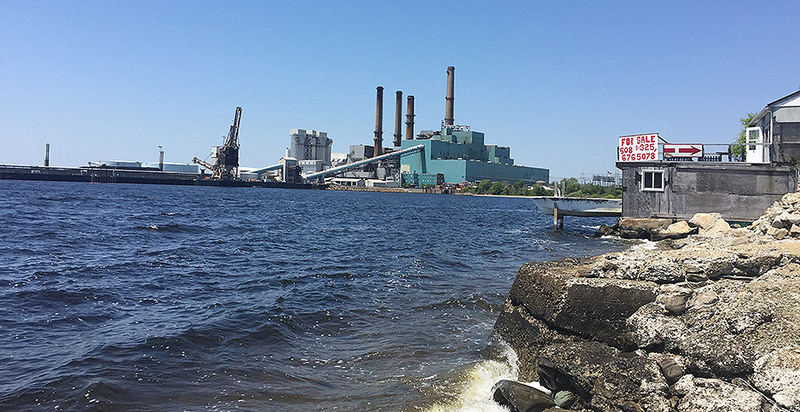 — For Pat Haddad, a good day is one when she returns home from the state Legislature to see steam rising from Brayton Point Power Station's twin 497-foot-tall cooling towers. New England's largest coal plant has long powered the economy in Haddad's hometown of Somerset, a community of 18,000 people on the south coast of Massachusetts. But good days have been few and far between lately. Soon, they will be gone altogether. Brayton Point will extinguish its boilers for the final time tomorrow. When it does, coal will have all but disappeared from this six-state region of 14 million people. Three relatively small and seldom-used coal plants will be all that remains of a once-mighty industry. "The sun is literally and figuratively setting," said Haddad, a Democrat who represents Somerset and three other communities in the Massachusetts House of Representatives. "It's so hard to see." If President Trump is to fulfill his promise of reviving the coal industry, it will have to be without New England. In 2016, Brayton Point's last full year of operation, coal accounted for 2 percent of the region's power generation. New England policymakers, united by a common electricity market, are increasingly looking to wind, solar and hydro to meet the region's electricity needs. Their task amounts to a test for states seeking to decarbonize their power sectors without compromising reliability or sending electric bills skyrocketing. Connecticut, Massachusetts and Rhode Island, collectively 80 percent of the regional market, have committed to slashing carbon emissions 80 percent by 2050. Already, they can claim some impressive achievements. Wholesale electricity prices hit a record low last year, and carbon emissions from the power sector are down nearly 25 percent since 2000. The challenges are nevertheless formidable. Natural gas, already 50 percent of the region's power generation, accounts for the majority of planned power plant additions. Political divisions among the states mean reaching consensus over how to best achieve deep carbon reductions is difficult. Maine and New Hampshire, in particular, have expressed wariness over their southern neighbors' carbon-cutting goals. And aging coal, nuclear and oil units are retiring at a rapid clip, raising concerns about what will replace them. ISO New England Inc., the regional grid operator, estimates 15 percent of the region's power capacity will have retired by 2020. "I'd say it's extremely exciting and scary at the same time," said Gordon van Welie, president and CEO of ISO New England. "You know that feeling when you're on a roller coaster. So it's exhilarating, because you're having to solve all these complex problems. On the other hand, it's 'Wow, you know, we're doing stuff we haven't done before, and nobody's figured out some of these things.'" The spate of plant retirements has brought to a head long-simmering tensions over how to integrate renewables onto the system. Existing power plant operators and industry observers largely favor an economywide carbon price, saying it is the most cost-effective way of driving emissions lower. A substantial reduction in the Regional Greenhouse Gas Initiative's carbon cap, a nine-state cap-and-trade compact encompassing New England, is also an option. State lawmakers in southern New England are sympathetic, but skeptical of such proposals. A high carbon price would be needed to drive deep emissions reductions, and is an option that remains politically infeasible. Meanwhile, they note, more and more natural gas is coming online. Southern New England has responded by establishing a competitive bidding process for renewables, with the winners emerging with guaranteed long-term contracts. Massachusetts last year passed legislation calling for large procurements of offshore wind and hydropower. Connecticut, Massachusetts and Rhode Island also jointly put bids out for smaller amounts of onshore wind and solar. "I think the procurements were the best politically viable path forward," said Benjamin Downing, a former Democratic Massachusetts state senator who championed the legislation in the Bay State. "When you ask, 'How do we hit climate, reliability and cost all at the same time?' the set of policy tools that can get you there is actually pretty narrow." But some question whether guaranteeing a seat at the table for some resources jeopardizes the future of a market where power generators now compete to sell their power. State contracts, skeptics contend, risk crowding out private investment in facilities that now ensure the grid's reliability. Others dispute those claims. ISO New England has lined up enough power to meet its short-term needs. The state contracts, meanwhile, are subject to competition. To receive a contract, developers have to bid lower than their competitors. "Ultimately, it is a reflection of the simple fact that the region is committed to doing something about addressing the risk of climate change, but it is a struggle in the context of competitive markets and the low price of natural gas," said Paul Hibbard, a former Massachusetts regulator who is now a principal at the Analysis Group, a consultancy. "People want to act like it's an impending disaster, but it's the next challenge in the evolution of the power sector to meet its reliability goals in a way that's consistent with the goals of state and federal policy." In many respects, the roots of the challenge can be traced back to Somerset, a bedroom community on the shores of Mount Hope Bay that was home to two coal plants until recently. Like many coal plants in the region, Brayton Point and the Montaup plant spent a large portion of their latter years sitting idle. They nonetheless performed a vital function, switching on during periods of peak demand in the summer and winter months. Running a coal plant part-time is challenging from both an economic and operational perspective, however. Montaup closed in 2010. Brayton Point announced its retirement a few years later. The closures represented a blow to Somerset, where Brayton Point alone employed more than 250 people at its height and accounted for roughly one-third of the town's tax base. 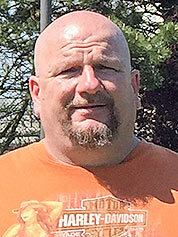 "Guys at the plant that live in Somerset, which are a ton of them, are getting a double whammy because not only are they losing their career, but their taxes are going way up," said Robert Clark, president of the local Utility Workers Union of America, which represents Brayton Point employees. The closures propelled local leaders like Haddad into action. A former physical education teacher-turned-Beacon Hill power broker, Haddad had long styled herself the "Queen of Coal" in a Legislature dominated by climate hawks. "I would defend them, saying, actually: 'We are meeting all of the requirements, and exceeding the requirements in many cases,'" Haddad said of the coal plants in her community. Like many in Somerset, she was dismayed to see Brayton Point close. While the pollution in town was once so bad, the power company washed soot off residents' cars and homes, Haddad figured that was the price of low taxes, good schools and professional municipal services. "They tried to be good neighbors," she said at one point. Later, she added, "It was not our idea to close the plant." 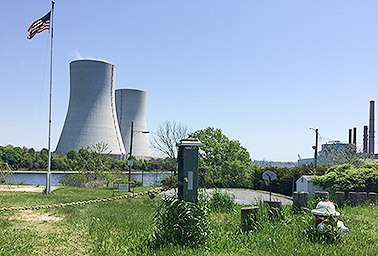 Brayton Point's impending closure nevertheless convinced Haddad that her community needed to plan for a future beyond coal. After hosting a summer of meetings with power generators, utilities and environmentalists in 2014, she settled on offshore wind. No other industry, in her estimation, offered a better chance at replacing Brayton Point's almost 1,600 megawatts and bolstering the regional economy. European wind developers were slashing costs, and the proposals for new development were in federal waters 15 miles offshore, just over the horizon, where they could not be seen by cranky landowners. Best of all, in Haddad's eyes, offshore wind offered the promise of a homegrown energy industry. 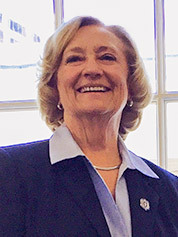 Haddad serves as the speaker pro tempore, a leadership position in the Massachusetts House, and last year, she threw her legislative muscle behind the proposal to procure 1,600 MW of offshore wind and 1,200 MW of a Class 1 renewable resource, most likely Canadian hydropower and perhaps onshore wind in Maine. Her argument that offshore wind represented a significant amount of reliable, low-cost power won over Gov. Charlie Baker, a Republican, who signed the bill into law last summer. For many of her colleagues, who had struggled to achieve a significant boost in renewable generation, the bill represented a step toward meeting Massachusetts' carbon cutting goals. Haddad was less concerned about the climate implications. "For me, the climate change — this is probably heresy — that was secondary," she said. "I believe in green, but I don't believe in green at any cost. I believe in green that everyone can afford. The process I employed showed there might be in the beginning a little uptick in what it was going to cost us, but it was going to be offset by new jobs, new stability, new opportunities." That stance has roused critics in some corners. Skeptics argue that the procurements represent an economic development effort masquerading as a carbon-cutting scheme. The problem, they contend, is that it distorts the region's power market. "This issue of the markets not delivering what the state's want, the states need to articulate what it is that they want," said Dan Dolan, president of the New England Power Generators Association. If the states want to reduce emissions, Dolan argued, they should set a carbon price to drive reductions. But "if what the states want is to pick and choose the resources to meet the needs of the consumers, OK, that's centralized integrated resource planning," he said. "And that means taking resource adequacy back." New England states have thus far shown little appetite for reassuming the responsibility of overseeing their respective power markets, a task that now lies with the regional grid operator. At a recent Federal Energy Regulatory Commission conference in Washington, state regulators expressed confidence that their procurements could be integrated into the wider wholesale market. ISO New England, for its part, has tried to strike a compromise. It has proposed that renewable energy generators be allowed to buy out aging fossil fuel generators seeking to retire. The grid operator hopes the plan will prevent consumers from paying for two sets of resources: those competing in the wholesale market and those with guaranteed state contracts. State policymakers, for their part, are forging ahead. In a recent interview in her Boston office, Haddad rattled off the potential upside of offshore wind for the South Coast. New Bedford, as the closest industrial port to the wind fields 15 miles offshore, is ideally situated to become an operations and maintenance hub for the industry. Brayton Point's substation offers an ideal location to connect the giant turbines to the regional grid. And where New England has long imported energy, it now has the opportunity to generate its own. It's far from clear whether New England will be a model for the nation. But standing in her office with a model wind turbine in the window behind her and another perched atop a bookshelf, Haddad said the clean power source offers her state its best economic opportunity. "If we don't aspire, we get nothing," she said. Correction: An earlier version of this story misstated the number of coal plants still operating in New England. Two plants in New Hampshire, along with the Bridgeport Harbor Station in Connecticut, are still running. Bridgeport is scheduled to close in 2021.